With Europe's largest fleet of RIBs and the market leading provider of RIB Charter your event is sure to go off with a splash! 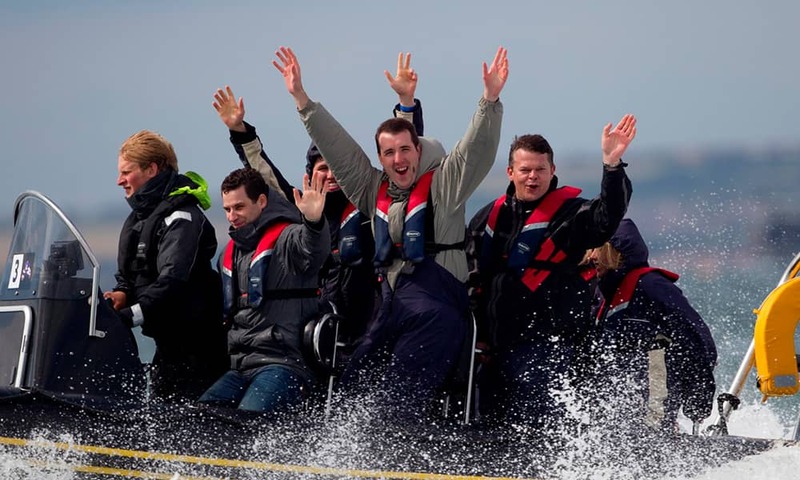 The London RIB Experience is fun, safe and immaculately presented. The RIBs are Coastguard coded and surveyed. The skippers are fully qualified, commercially endorsed, and carry significant public liability insurance not just for the RIBs but for all aspects of our event management services. 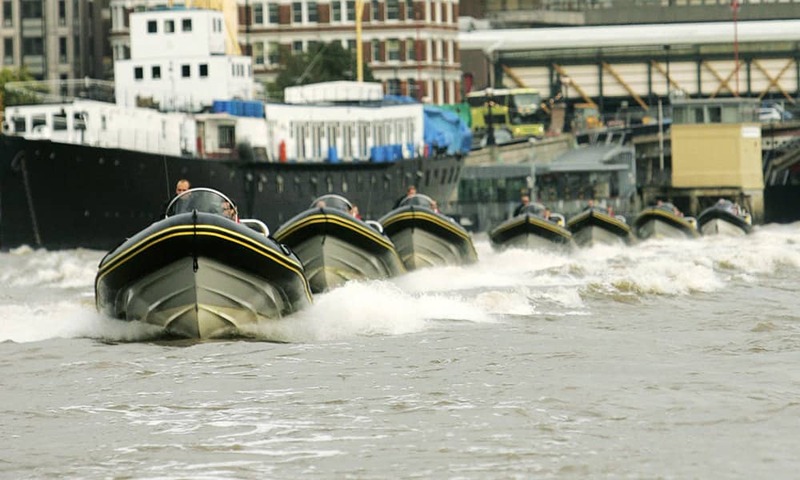 Feel like James Bond for the day as you experience the fastest London Speedboats on the River Thames! See more of London in 50 minutes (approximately) than you’d expect to see in three times this length of time on more conventional sightseeing tours. Informal and entertaining guided commentary accompanies all the major new and historical sights of this amazing capital City. Starting your journey at Embankment pier we then head upriver to take a look at Big Ben and the Houses of Parliament and a glimpse of MI6. Then a guided commentary through the centre of London passing many amazing sites, the London Eye, St Paul’s Cathedral, Shakespeare’s Globe Theatre, Monument, the Shard, HMS Belfast, the Tower of London and then finally we pass under the iconic Tower Bridge. Then throttle down and off we go. You will be turbo blasted at high speed through the Docklands, past Canary Wharf, with music before turning at high speed back to Tower bridge, before returning to the Embankment Pier for the Ultimate Rollercoaster on Water Experience. 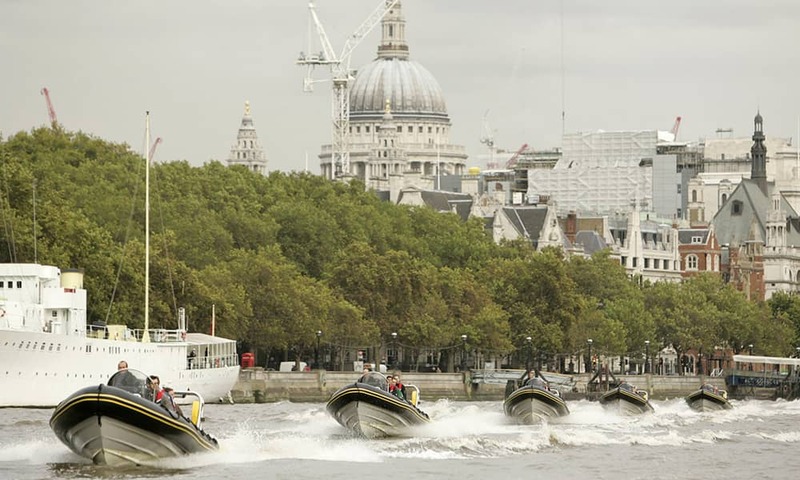 As our sleek Ribcraft powers its way along the River Thames and through the very heart of London. In addition to seeing the sights that this great city has to offer our trained Guides will regale you with fascinating anecdotes and true stories about the life and times of author Ian Fleming, the history of the British Secret Service and their counterparts and indeed Fleming’s greatest and most famous creation of all – James Bond. And then, having seen many of the locations features in the famous books and films (MI5 & MI6) and having gained an insight into the fascinating world of international espionage, it’s time to hold on as our skipper opens up the engines and you can pretend to be a top secret agent as the boat speeds off down towards the O2 at a rate of knots. This is a high speed ride with a difference, that will get your adrenaline pumping! 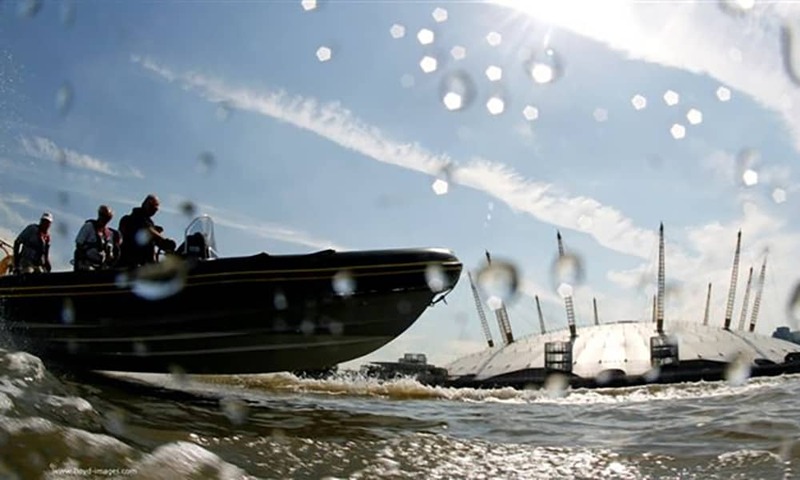 Thames Barrier Experience gives 75 minutes of high speed thrills, guided commentary and a chance like no other to see so much of London by river on our twin turbo 740hp high powered RIBs. It is the ultimate option for sightseeing addicts. And (for all you speed junkies) it’s our pleasure to announce that there’s double the amount of high speed on this route! We are able to operate on The Thames at any time during daylight hours. Although we travel fast, we are very aware of and considerate to other River users. Before applying full power, we wait until we have cleared the Thames Barrier, creating an excellent finale before returning to the disembarkation point. The RIBs normally operate in choppy coastal waters. In central London we are able to guarantee operating in all but the most extreme conditions. Typically only snow storms will stop the fun..
We provide smart breathable oilskins for everybody, which will keep participants warm and dry even through the most inclement weather. Health & Safety: Participants will need a reasonable level of physical health rather than fitness. This event is unsuitable for those with knee, hip, back, neck or weight problems, and those who are pregnant.